Subway is rebranding its ‘Subway Lunch’ as the ‘Subway Real Deal’ to combat the perception that the £3 meal offer is only available at lunchtime. Despite its name, the lunch deal, which comprises a six-inch sub and a drink for £3, is available all day. The sandwich chain extended its store opening hours over 2013 – with some branches now operating 24 hours a day – so it was felt there was a need to communicate to consumers that the value deal was not restricted to lunch. The move will be supported by TV, radio, outdoor, digital and print activity, as well as new point-of-sale material, which will go live in stores from 8 January. The Subway Real Deal marketing will aim to promote the ease with which the sandwich chain’s menu can be customised. Activity will highlight the Turkey and Ham Sub, which is one of five subs from Subway’s low-fat range. The company said this demonstrated the brand’s "commitment to offering a wide range of healthier options at the best possible value" in line with its commitment to the Department of Health's Responsibility Deal push. 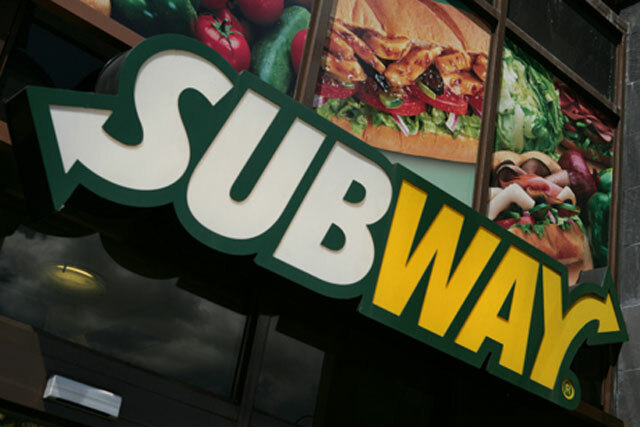 Manaaz Akhtar, regional marketing director for the Subway brand in Europe, said: "The decision to rebrand our popular value proposition represents our desire to better communicate that Subway stores offer great value at any time of the day, not just at lunch." This latest activity follows Subway’s rollout of a £2 breakfast deal and new earlier opening hours in September, backed by a £1.7m marketing campaign, last year.